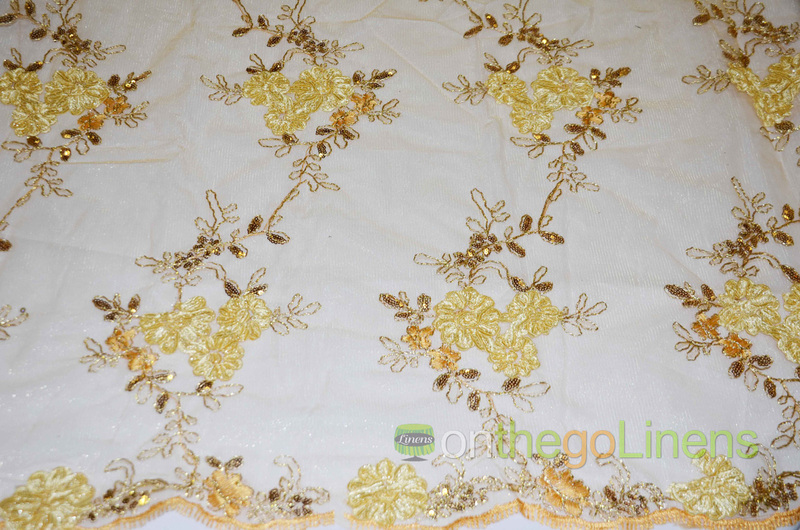 Order the Best Quality Ruby Embroidery Yards in 5 colors. 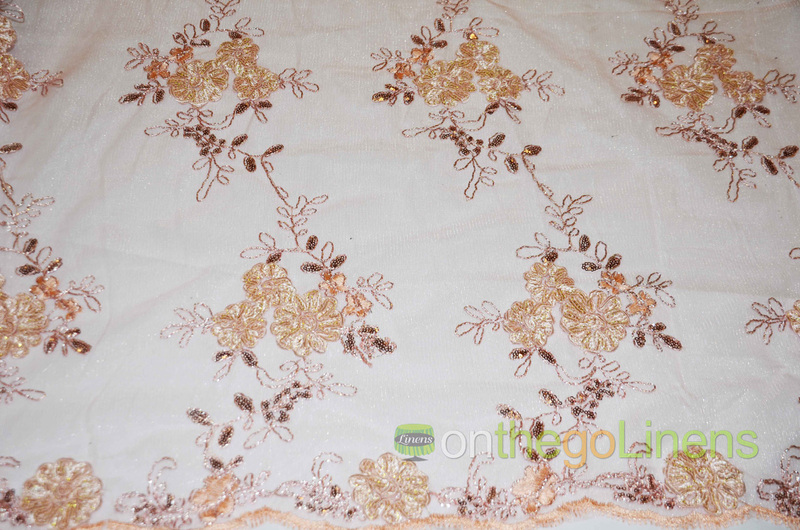 Fabric Description: Ruby Embroidery is a up level mesh Embroidery with a shiny tulle background. Simple flower pattern with sequins embellishments. 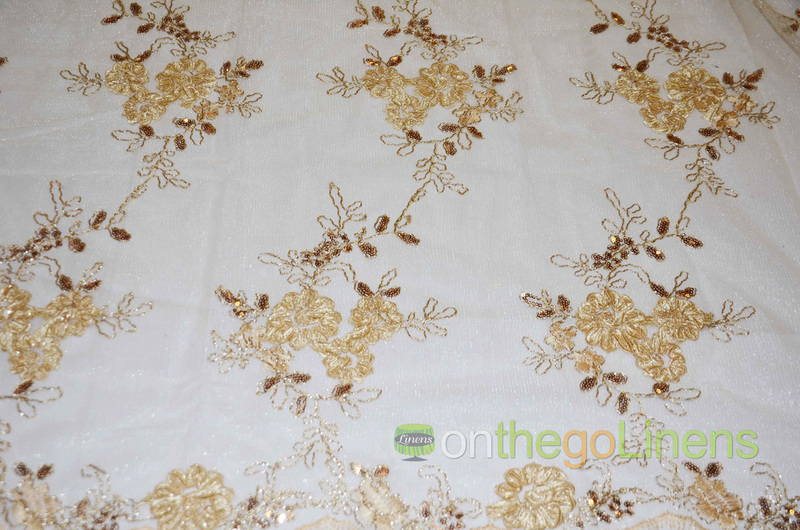 Fabric is great for Tablecloths, Overlays and rectangular tablecloths. Fabric Weight: Light weight with a very soft hand feel. Great for tablecloths and Apparel use. We always suggest prewashing the linens before use. The Golden Rule to this suggest when you prewash fabrics, be consistent. For example, either prewash all your fabrics, or do not prewash at all. Ruby Embroidery is machine washable. Wash on cool, gentle, no bleach. 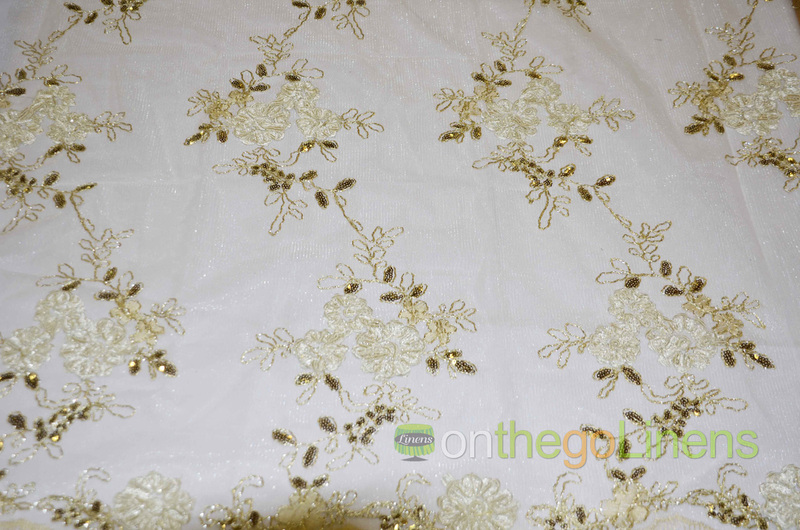 This Organza should be cleaned in a tumble type washer on a cool, gentle cycle. We always suggest dry cleaning to preserve fabric life-cycle.